At our house, homeschooling is an adventure. Of course, we include the normal study of Biology, Math, English, History and Geography. But there are also days when all we do is set out into the “unknown” and investigate nature or something unexplainable, just to see what we can find. 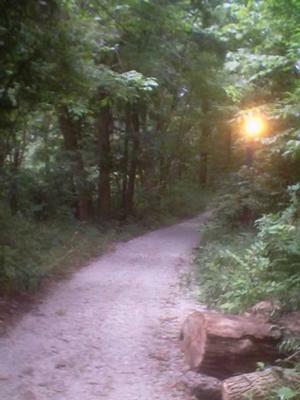 On one such occasion, we decided to investigate the “mystery trail” that ran behind our apartment complex. It was a beautiful, narrow pathway, covered over with huge trees, and dotted with unusual rocks. We picked up each one and examined it, collecting only the most interesting and colorful. Two tiny streams crossed the path and as we jumped over each one, our movements seemed to dislodge other rocks that looked like fossils! We definitely had to collect those as well. Finally, when we’d walked the full length of the path and back, we decided to go home and categorize each rock. I took out a large reference book, and we both looked through it and were able to identify most of the rocks that we found. We also discovered that one of the rocks actually burned, after I’d put a flame to it. I believe it was some sort of flint or magma type rock and was the only one that we’d found, that would burn. That was an interesting, hands-on lesson in geology. On another occasion, we were bent on capturing a “ghost” on film. There’s been a lot of interest about ghosts lately. Some people say that they are everywhere but we just can’t see them. So last fall, we decided to do an experiment. We waited until after dark, and then quietly tiptoed into the backyard. I don’t know why we tiptoed because I don’t think walking around bothers ghosts. Anyway, we planted ourselves in the middle of the yard and suddenly, all the quiet was gone…because the EMF meter was going crazy! It was beeping so loudly, I was sure we’d get complains from the neighbors. Thankfully, I decided to turn around. When I did that, the beeping stopped. I turned off the EMF meter then, trying to give myself a moment to figure out what had just happened. I do believe in a life after, but I couldn’t imagine why there would suddenly be so much spirit activity in our own yard! I took a deep breath and looked up at the sky...and then, it dawned on me. Power lines ran across our backyard, right through the middle of the property. Anyone who knows anything about EMF meters (unlike us) knows that you can’t use it near a power line because it reacts to it. What a disappointment! And we could see that, in the face of our son. But I suddenly had another idea. I told our son to turn on the camera and when I gave the word, he was to take a picture in the direction of where was pointing the EMF meter. He wouldn’t be able to see anything, but maybe a figure would appear in the picture, after it was taken. I’d heard of things like this happening, so I thought we’d try it. 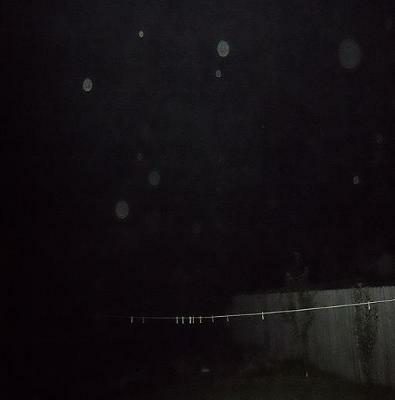 Amazingly, after those pictures were downloaded to our computer, we saw a number of strange looking Orbs in the area in which the EMF meter was pointed! The experiment was a success, even though it was slightly troubling that strange“beings” were inhabiting our backyard. Still, no harm has ever come to us so perhaps they are benign. That was a very exciting night. We’ve also done various (normal) scientific experiments in electronics and construction, such as building a motor from a kit, examining the cells in plant and insect life through a microscope, and putting together a birdhouse that we finally hung out on our tree, in the backyard of our newly purchased home. All of our projects may not be what a regular brick and mortar school would assign, but I have to admit that they are all interesting and keep homeschool from getting boring. Sometimes, I wonder who is having more fun…our son or his family. I wish school had been this fascinating for us!